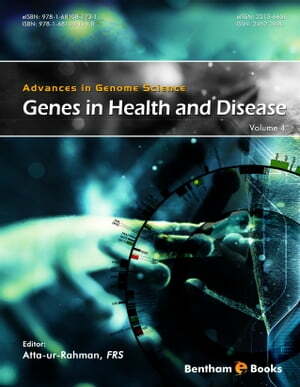 Collins Booksellers - Advances in Genome Science Volume 4: Genes in Health and Disease by Atta-ur-Rahman, 9781681081731. Buy this book online. Genome science or genomics is essential to advancing knowledge in the fields of biology and medicine. Specifically, researchers learn about the molecular biology behind genetic expression in living organisms and related methods of treating human genetic diseases (including gene therapy). Advances in Genome Science is an e-book series which provides a multi-disciplinary view of some of the latest developments in genome research, allowing readers to capture the essence and diversity of genomics in contemporary science. The fourth volume of this ebook series features a selection of articles covering the genetic mechanisms in the development of specific plants (orchids, thale cress), Prader-Willi Syndrome, enzyme genetics (tyrosine kinase inhibitors and fungal laccases) and much more.